Offering you a complete choice of products which include nephro tonic oral liquid, vitamin-e and selenium fortified with biotin liquid, liver tonic, iron booster, vitamin ad3e feed supplement and blood booster. 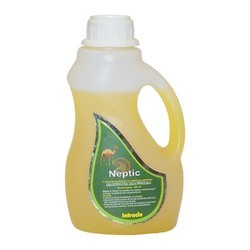 Neptic is Potent formulation for optimal functioning of kidneys in working and racing animals. - Optimizes Urea metabolism in animals. - Improves performance of racing camels by reducing the increased blood urea levels. - Helps to prevent damage due to increased urea level during heavy exercise, racing and dehydration. Camels : For every 100 kg B. wt. 10 ml Neptic diluted with 100 ml water and administered as oral drench or as advised by Consultant Veteinarian. SELEXIDANT LIQUID is a potent combination of Vitamin E and Selenium fortified with Biotin.Vitamin E is a lipid soluble antioxidant vitamin necessary for many physiological function & plays a vital role in protecting the vascular wall. SELEXIDANT LIQUID is an integral part of glutathione peroxidase(GSHPX) an enzyme essential for defense mechanism.Biotin is a cofactor for many enzyme involved in the mechanism of nutrients in the body. 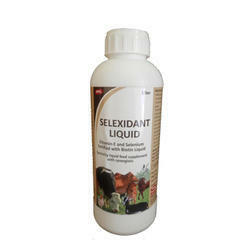 SELEXIDANT LIQUID containing Vitamin E and Selenium fortified with Biotin acts in synergy to effectively protect,maintain and boost immunity and productivity in Poultry and Livestock. SELEXIDANT LIQUID bio synergistically inhibits prostaglandin secretion and increases antibody production to enhance both humoral and cell mediated immunity. - Helps to maintain muscle strength and stamina in racing Camels. 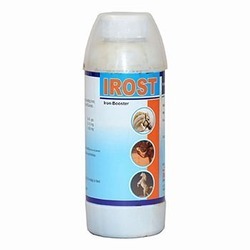 - To prevent white muscle disease in Sheep & Goats. - To prevent heart muscle dystrophy in Camel, Calves due to selenium and/or vitamin E -deficiency. - For Enhanced immune response. - For improved fertility and hatchability. - For improved muscle tone and in problems of leg weakness. - For improved antibody titre and enhanced immune status. - As an aid to help in cases of encephalomalacia and exudative diathesis in Poultry. Chicks : 5 ml / 100 chicks / day. Layers & broilers : 10 ml / 100 birds / day. Breeders : 20 ml / 100 birds / day. Cattle,Camel & Horses : 10-15 ml / animal / day. Camel,Calves : 5-10 ml / animal / day. Sheep & Goats : 2.5 ml / animal / day Or as advised by the consultant veterinarian. 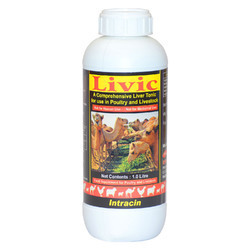 - Livic regulates liver function and protect liver against feed related toxins. - Livic helps to build up resistance. - Livic enhances weight gain. - Livic stimulates growth and production. - Livic optimizes the utilization of feed ingredients, stimulates digestion and improves feed conversion ratio. Higher dosage may be used in severe conditions. Feed supplement formulation providing Iron,Copper and Cobalt for animals. - Animals recovering from illness and infection. - Anemia due to worm infection. Chick,Goat,Pigs,Dogs(30 kg.) : 4 ml daily in feed or as directed by a Veterinary Surgeon. Vitamin A, retinol palmitate 20 000 IU. Vitamin D3, cholecalciferol 6 000 IU. Vitamin E, α tocopherol acetate 60 mg.
ELCINVIT is a well balanced combination of Vitamin A, Vitamin D3 and Vitamin E for Calves, Cattle, Goats, Poultry, Sheep and Swine. Blooster liquid feed supplement is a highly palatable vitamin syrup for Camels,Cattle and Horses containing Vitamin B12,B6,B2 Iron fortified with a high Folic acid content for high performance animals. Blooster provides Vitamin B6,Vitamin B12, Folic acid and Iron important for the production of red blood cells. Blooster can be used in young and old Camels and Horses, during pregnancy and periods of anorexia or debility. Blooster is also useful feed supplement during preparation of Horses and Camels for extra work,racing and endurance. Blooster helps animals the power of recovering from extreme exertion,sickness or in deforming treatments. Yearlings,Adult Horses and Camels : 30 ml daily mixed with feed or water. Calves and Foals : 15 ml daily mixed with feed or water. Rate of use may be doubled if desired. 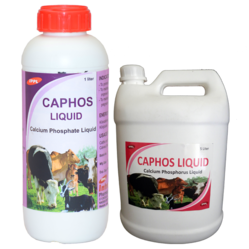 500 ml and 1 lt.
CAPHOS LIQUID is a superior quality and high concentration liquid feed supplement of Calcium and Phosphorus fortified with key vitamins. CAPHOS LIQUID improves quality & quantity of milk and helps to prevent milk fever. - To promote growth in young animals. - To maintain steady lactation and improve the quality of milk. - To maintain Calcium level in pregnant animals. - Enhances milk synthesis in lactating animals. - Helps in preventing skeletal weakness. Cattle and Buffaloes : 100 ml daily. 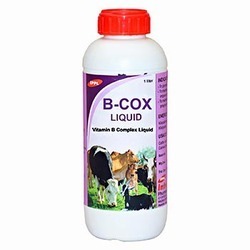 Calves,Sheep & Goats : 20 ml twice daily. 1.0 lt. and 5.0 lt.